Your Local Brick Work Cleaning Specialist. Captain Jetwash brick work cleaning team are specialists in the use of high pressure brickwork cleaning equipment. With many years of experience and a dedicated team of highly trained staff we provide a superior service to both the domestic and commercial sectors at a reasonable price for all brick and stone cleaning and repointing requirements. We have years worth of experiance in cleaning new brick work removing cement stains and cement snots from the construction period. We use a varioty of chemicals on stain just to help loosen the stains before pressure washing. We are a fully insured professional cleaning company capable of delivering a superior brick cleaning and maintenance service for any type of building, height or age. We are also able to offer protective clear coatings as an additional service to ensure long term protection and maintenance of your buildings stone and brick work. 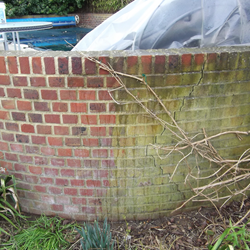 Old brick work can loose its durabilaty with age due to poor mortar joint. 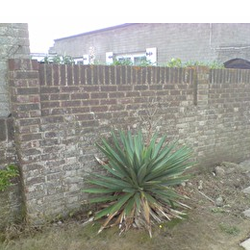 When this is the case the old mortar needs to be grinded out then repointed with new fresh sand and cement (mortar). 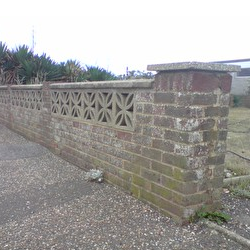 Not only does this completely strengthen the brick work but if gives it a nice new fresh look if done properly.